You may click on the picture or the title above to start. Once you have opened the file, you may use the links located on page three to go directly to one of the articles or items that are listed there. Production of The Tide is truly a team effort. That team is made up of Dora Carter (Editor), Sherrie Biernacki (Co-editor), Judy Bolin (Features Editor), Penny Ford-Bezdikian (Editor Back Issues), and Assistant Editors: Ann Phillips, Cecelia Cassidy and Pat Barton. We would also like to recognize contributors Sarah Houle (Public Education), Kathy Hash (Calendar Coordinator), Derry Krause (Res Q Tales) and all of those who submitted photographs as noted in the photo credits as well as Betty Clewis who will keep the printed archive. Feedback is welcomed and can be sent to carterhall@mindspring.com. 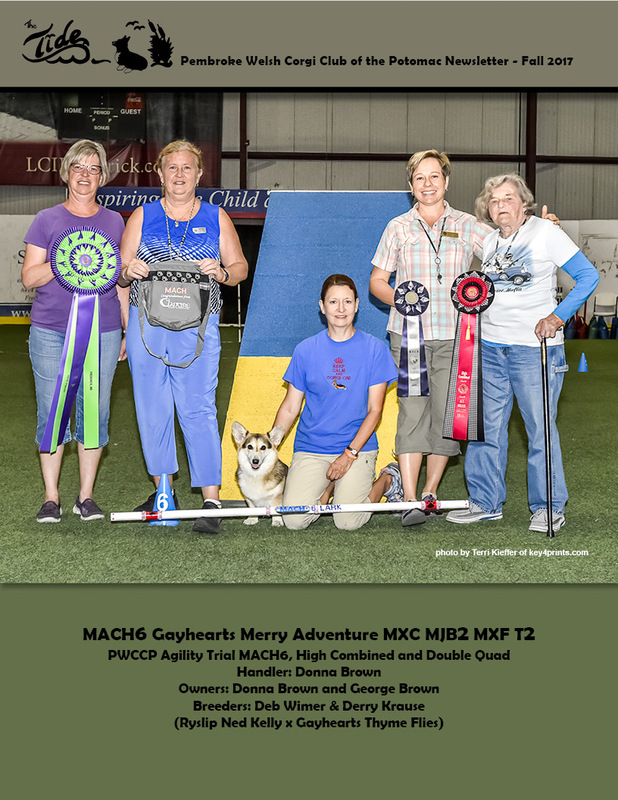 All materials, images and text © Pembroke Welsh Corgi Club of the Potomac and/or the original supplier, writer or artist. All rights reserved.